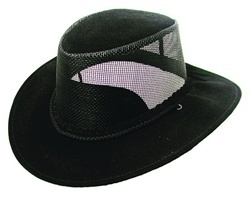 The Soaka Breeze Hat is a traditional Australian styled hat in our soaka microfiber fabric. We have used a firm mesh to keep the crown off your head and allow plenty of air circulation. Three strand hat band with back tassels, chin strap.